Traveling with an allergic kid can be really tough. Especially when you factor in eating at restaurants and staying in hotels. Charlie, my youngest, has severe dairy and soy allergies. 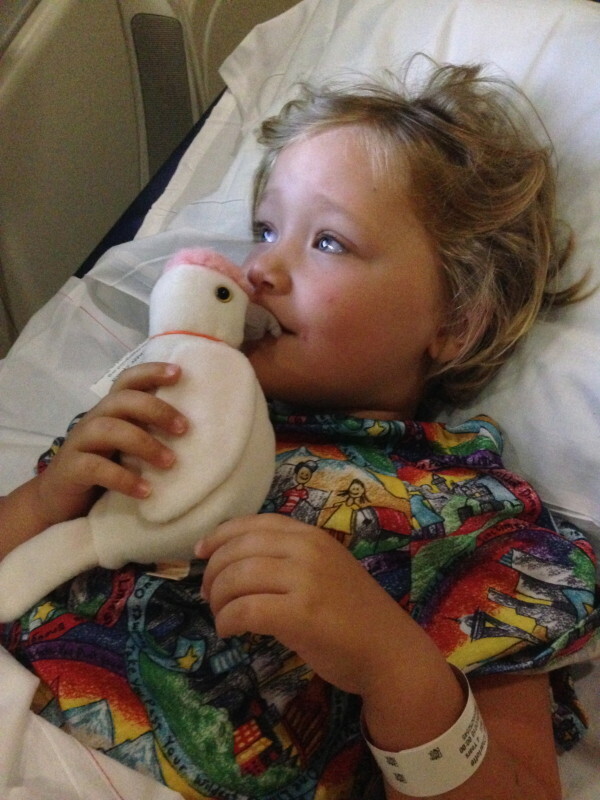 Although her reactions are not anaphylactic, she has ended up being admitted to the hospital on two separate trips. Over the past 6 years, I have learned a lot about how to keep your allergic kid safe when traveling. Here are my tips. At this point, I have learned that planning ahead is my best bet. I don’t leave the house now without a backup lunch for Charlie packed in a small lunchbox. This applies whether we are headed to a movie, the mall or even just out for more than a few hours. I keep 4 ice packs in the freezer so one is always ready to go. When heading out on long road trips, I pack Charlie an entire cooler full of foods she has tried at home and I know she will not react to. 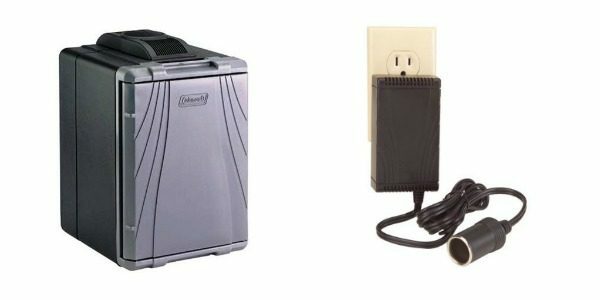 I recommend the Coleman Powerchill Cooler. To keep cool, it plugs into the cigarette lighter in the car. You can also pick up an attachment that allows you to plug it into any traditional plug in the car or hotel room. This has saved me an exponential amount of money as I no longer have to worry about spoiled food and we are eating out much less on the road. Due to the fact that soy and dairy seem to sneak their way into plenty of menu items, I’ve found the easiest way to explain the allergy at a restaurant is to present an allergy card. The site I use for free allergy cards is kidswithfoodallergies.org which is a division of the Asthma and Allergy Foundation of America. Just click on your child’s allergen and you will be able to quickly print ready-made allergy cards to carry with you. I also hand these out to our sitters and leave a larger print out in our kitchen for quick reference at home. When we do venture into restaurants, I ask a lot of questions. I’ve learned from watching other allergy parents and speaking to servers and managers that this is okay. I’ve come to the conclusion that I would rather take up a little more time ensuring Charlie is safe than have her go through another allergic episode. If a server seems disinterested or you have a feeling that the situation won’t be handled carefully, ask for a manager or simply leave. There are plenty of restaurants that will happily provide good service and ensure your child is safe. If the food comes out and doesn’t seem right, don’t let your child eat it. In England, we were guaranteed that a specific raspberry sorbet was completely dairy and soy-free. When it arrived at our table, I was shocked to see how pink it was knowing that real raspberry sorbet is usually a dark red. I inquired with a manager before allowing Charlie to eat it. Once the manager double checked the label, he found the sorbet contained cream. 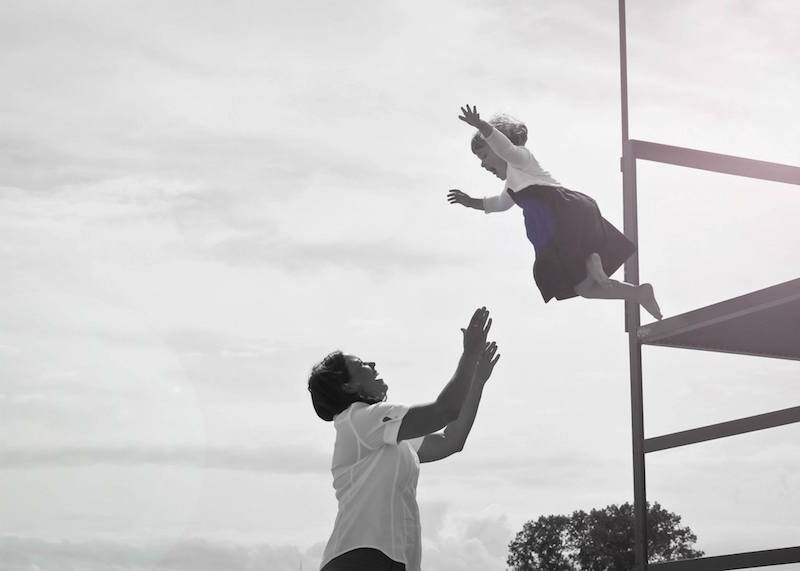 I avoided another hospital stay by simply trusting my instincts. No child wants to hear that they can’t enjoy a dessert they have been offered. Charlie usually takes it like a champ. Still, I like to surprise her sometimes with a safe snack she can end her meal with. My go-to snack are Surf Sweets candies. 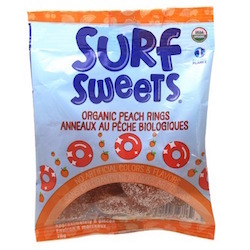 Surf Sweets are made and packaged in a facility free of the 10 most common food allergens, including dairy/casein, eggs, peanuts, tree nuts, wheat, soy, fish, shellfish, sesame, and sulfites. I pick them up at our local health food store. You can find a location to close to you here or simply order them online. Traveling to new places can be confusing. Adding in food allergies can make it even more stressful. Before your trip download the Allergy Eats app available for iPhone and Android devices. The app is sort of like a Yelp for allergies. You can find allergy-friendly restaurants based on other users’ experiences, read menus and make reservations. I find it quite helpful when we are on the road and haven’t researched restaurants ahead of time. I have been quite surprised in our travels at how allergy-friendly hotels are. We have had plenty of luck at hotels like Great Wolf Lodge, Beaches Resorts, JW Marriott and Disney properties including the Four Seasons Orlando. Whether you are staying one night at a random hotel or booking a week-long all-inclusive, I find it’s best to call the hotel and alert them to your allergies before you book. They will often honor the online rate or even find you a better deal and the reservation will be marked with the allergy. I’ve also notice that alerting the hotel before our arrival tends to end in us receiving an impeccably clean room. Once on-site, take time to meet with the chef and alert the staff at every restaurant you eat at. During our many stays at Great Wolf Lodge in Niagara Falls, we have been given complete tours of the buffet as well as have had custom fresh safe foods made for Charlie. 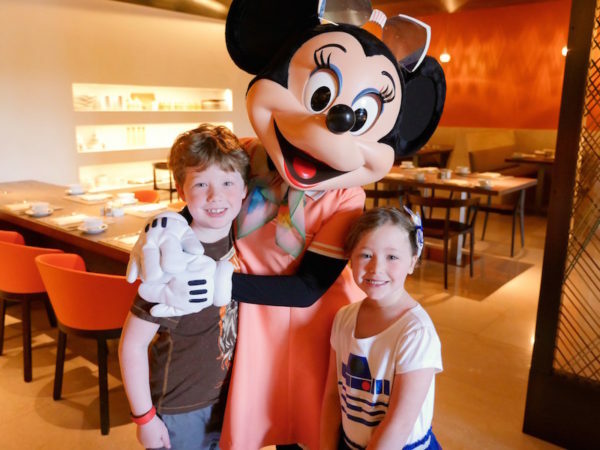 At the Four Seasons Orlando, Charlie was treated to a 100% soy-free and dairy-free breakfast while still being able to participate in the breakfast with Mickey and his friends. No plan is foolproof. Always be prepared for a reaction to occur when you are on the road. 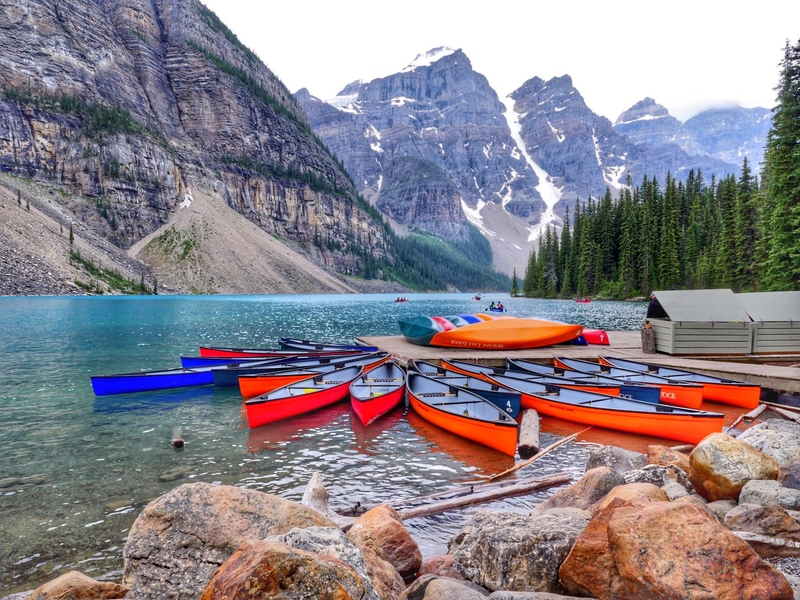 Carry more medicine and injectors than you think you will need and know where the closest emergency room is as well as the emergency number which changes depending on the country you are visiting. Thanks for sharing these usable tips.